Call it double wood, double utility poles, or just a double headache for your joint use department, neglecting to remove an old pole when a new one has been installed right next door—or in the attacher's case, transfer off of a pole in a timely manner—can lead to many problems. Safety is a concern. So are aesthetics. Beyond those two issues, what other pains do double poles cause pole owners as well as attachers? Financial pain—from fees and fines. 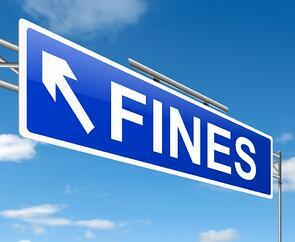 More than one-off charges, double utility poles can garner compounding fines that come from a variety of sources. It is a simple equation: have more poles than you need standing around and you could end up with more fines than you can handle. Recently, via a citywide utility pole inspection, Boston identified tens of thousands of obsolete utility poles littering the city's landscape, creating unsightly obstacles and safety hazards. According to a local news outlet, state law states utilities must remove old poles within 90 days of replacements being erected. Unfortunately, hardly anyone had traditionally enforced the statute. Fed up, city officials lobbied the state and won a small battle. In the upcoming legislative session, Massachusetts will attach a provision to its budget that will give cities and towns the ability to fine utilities up to $1000 for neglecting to remove their double wood. It is a hefty price to pay, and a tactic that is becoming more prevalent. Attachers take note: When cities and states begin to levy fines, pole owners will have to pass their pain along to attachers. It makes sense; while in some cases neglecting to remove unused poles is the fault of understaffed or backlogged pole owners behind on conducting timely field services, many times things rest on the timely transfer of an attacher's piece of equipment. When attachers hold up the process, the onus is on them to clear the path to removal or risk penalty—or risk damaging their relationship with the pole owner in the process. On top of potential fines from cities, states and other private entities, the NESC also does not look kindly upon lingering double wood. Additionally, double pole issues often also signal other things may be amiss with assets in the field. So, in addition to fines the NESC may levy specifically for unfinished pole transfer, the agency may also find other problems for which owners are liable. From mid-span and climbing issues created by incomplete transfers to safety concerns such as leaning poles and missing or unprotected guy wires, once scrutinized, a double pole instance can quickly turn into an expensive, multi-fine experience. In this, the year of the double utility pole, why else might you want to clean up your act—and your community's landscape? Download our top 6 reasons to tackle your double poles now.